“This is just like Kilimanjaro!” I exclaimed, as I wrestled through trees on the final descent back to the valley road. I climbed Kili a couple of years ago and the first part involves hiking exclusively among the trees. Although back then it wasn’t ridiculously steep, with streams, rocks and boulders to navigate. And I wasn’t in my ski boots with skis attached to my pack. I actually couldn’t have been much further from Africa; I was ski touring, in Norway. 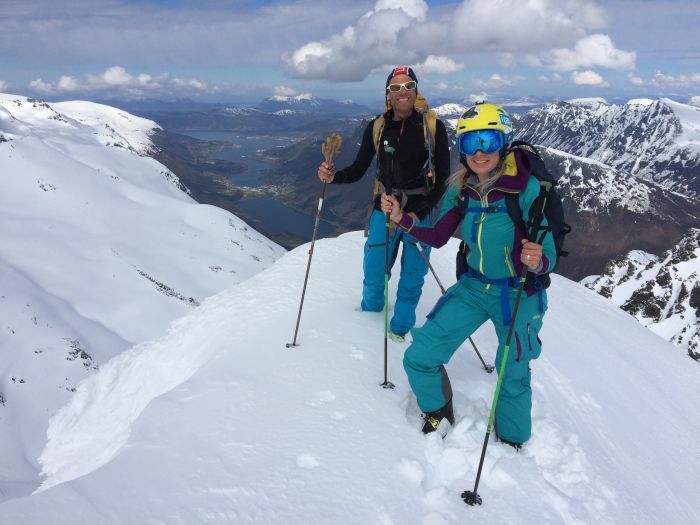 In recent years the Hjorundfjorden area in Norway’s Sunnmøre Alps has become increasingly popular for ski touring, and having spent four days there it’s easy to see why. 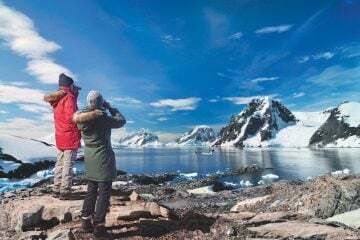 It was a unique tour that threw me out of my comfort zone, surprised me and took my breath away – both from physical demand and with its mind blowing scenery. 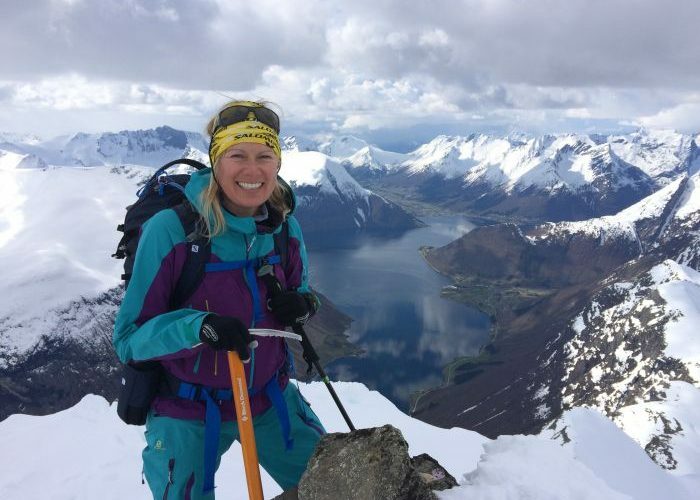 Ever since I saw a film of people skiing on untouched snow from sharp summits down to the fjords, then climbing aboard a waiting boat, it had been my dream to ski tour in Norway. Finally, together with my friend Asgeir, that dream was about to come true. At Solavagen dock we met up with the rest of the team: the guide, Halvor, and four other Norwegian guys. Seven of us. Me and six men. And not just men – Norwegian men! Surrounded by six Vikings, I wondered how I would measure up. We were being self-sufficient, carrying all our gear. I like the idea of that – having only what I need for the next new days. And I had new Salomon kit that I was excited about – the brand has released a new lightweight mountain collection, and lightweight it certainly is. We were soon in single file, quietly and rhythmically sliding one ski in front of the other. The plan was a 13km day with 1,200m ascent, taking in the summit of Blabretind (1,476m). It was a gentle start. I was keeping up with the boys and it wasn’t long before our efforts of skinning up were rewarded with our first taster fresh powder. Halvor, our guide, was setting a steady pace. The wind was picking up so we opted for a lunch stop before heading higher. I’m glad we re-fuelled when we did. The next section looked steep and it was steep – 43 degrees in places! We attached our skis to our packs and, ice axes in one hand, ski pole in the other, kicked our ski boots into the snow making small steps straight up. We made fast progress and my heart was racing. 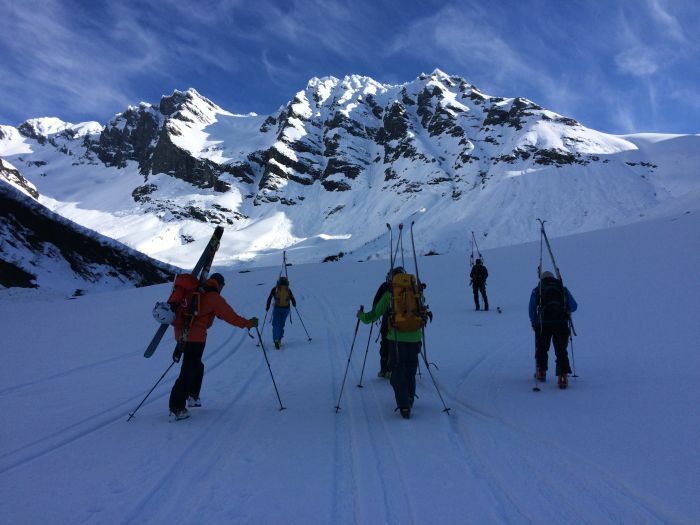 Ski touring makes you fit and keeps you fit! I was excited about my first fjord view that I knew was coming over the horizon. It didn’t disappoint. Now I really felt like I was ski touring in Norway. We now had two choices: ascend to the peak a few hundred metres above, or wait and then ski the final section down into the valley. My feet were sore, I was tired, the snow was icy and steep, and I felt a bit intimidated. Going up I’m OK, but I was concerned about the descent on tired legs. It would have been easy to say, “I’ll just wait here” – but I didn’t. I learnt a long time ago that I’m often perceived as someone who doesn’t get scared, and so I’ve found it’s best to let my team know how I’m feeling. Each time that has resulted in reassurance and the knowledge that they have their eye on me. The guys were great. Having them looking out for me made all the difference. It was scary – steep and required committed solid turns and 100% trust in my ski edges – but the adrenaline was flowing and it was exhilarating. We skied all the way down to a single track lane where we were met by a lady who drove us a few miles to Trandal – a road-less town with an approximate population of six! The next day I woke early and headed outside to see the fjord. The water was so dark, so still and so fresh. There was a tree with a rope swing on it just outside the pub we’d stayed in. As I swung out over the fjord I wanted to pinch myself. Was this paradise real? After a hearty breakfast of fresh fish, breads and cheeses it was time to get our ski boots on and meet our boat. It’s a strange feeling loading skis on to a boat. 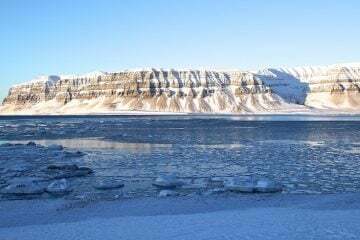 We went a few miles down the fjord and unloaded into a taxi to take us a few miles up the valley. There were no gentle inclines – today began with the steepest section and it was tricky. Snowfall and warm temperatures combined with high winds had left an unstable snowpack that had avalanched, so we had to backtrack and work out the safest route up. Deep snow made it hard work. It was a slow morning and I was happy to stop for lunch. That afternoon we enjoyed a gentle skin up to Grotdalstinden at 1,420m. 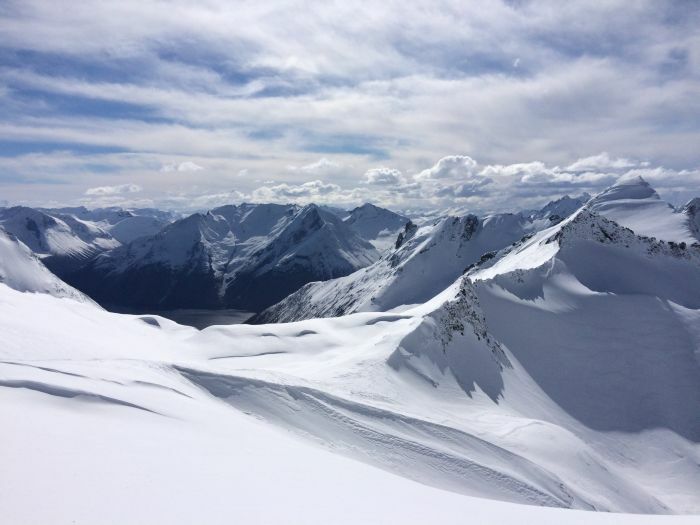 It was another stunning summit, even better views of the fjords below and another rewarding ski down: a wide open valley, deep powder that sparkled like it was covered in a million diamonds and a feeling of total immersion in the mountains. We reached the single-track road in the valley where there was a small stream that we soaked our feet in, and our hosts for the evening met us with hot chocolate and freshly baked cinnamon buns. Bliss! We were staying in a large farmhouse in the village of Knutegaarden, just below a looming peak, Slogen. At 1,564m this is one of the classic climbs in Sunnmore. It was tomorrow’s adventure, and the high point of the trip. We awoke to blue skies and sunshine. A long skin through the valley behind the mountain at a gentle incline made for an easy start. We were all into a good pace now, getting to know each other and finding our groove, and I couldn’t help but smile as we skinned along. On mountain days, when you burn thousands of calories, food becomes a very significant and pleasurable part of the day. We enjoyed our smoked salmon sandwiches, always on the menu in Norway, and discussed the route we would take up Slogen. Aware that I might be a little nervous as this was the steepest and most exposed summit, the guys were brilliant and made sure I was OK. I was OK. In fact I was better than that. I was loving it! I had found my skin legs and my ski legs. Getting used to the new kit, which was lighter than any of the team could believe, I definitely had the advantage on weight, and it made Slogen a pleasure to climb. On reaching the top I could see why Asgeir had been referring to this day as the prize. This was the view of the trip. The steep exposed summit put us so close to the fjords below, and the dramatic, partially clouded sky gave everything even more atmosphere. Life couldn’t get any better, but then it did – one of our team had carried a huge bar of chocolate to share at the top. The ski down was a line that will stay with me forever. Deep, soft powder. There were so few of us in this wide open space; flying down, carving turns, leaving sprays of snow as we went, laughing and loving it. I was exhausted at the end of the run, but we still had a fair way to descend, on foot, through trees, streams and rocks. I was transported back to Kilimanjaro. How could Norway feel like a mountain in Africa? The world is so big and diverse yet at times so small and familiar. The final morning we were lucky enough to wake up to blue skies and glorious sunshine again. We hiked only a little way to the snow line before gearing up for the last skin up of the trip. It was a shorter day, but no less impressive. 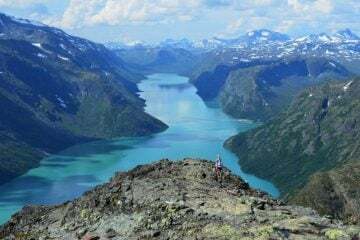 We made it up to Blaeja at 1,420m and were met with another fabulous mountain and fjord view. The final ski down in untouched powder was thrilling and I was on such a high. As I made my way back to Alesund by car, bus and ferry I reflected on my few days ski touring in Norway. To be in such a place had been a total privilege. It’s dramatic, spectacular, beautiful and wondrous. I can’t wait to go back! Squash Falconer is a record-breaking mountaineer, adventurer and presenter. 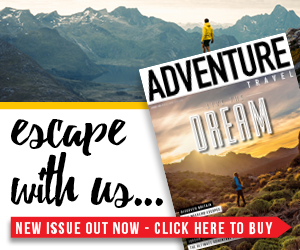 Combining her love of different sports she was the first British woman to climb and paraglide from the summit of Mont Blanc having ridden there from the UK on her motorbike. Not only has she summited Mount Everest but Squash holds claim to be the world’s highest ever bum boarder, a title she gained on Cho Oyu, the sixth highest mountain in the world. See www.squashfalconer.com. 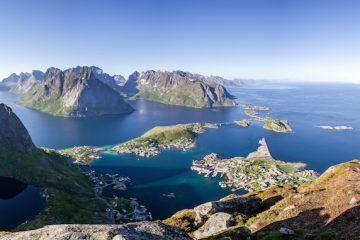 How to get there: Norwegian Air flies from London Gatwick to Ålesund twice a week all year around, with prices starting at £44.90 one way. See www.norwegian.com/uk. From there, hire a car to get to the Sunnmore Alps region. 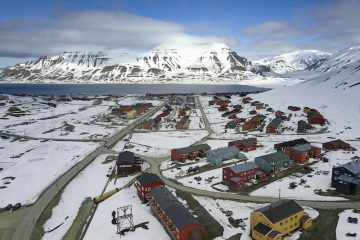 When to go: The best time to go skiing and sailing in the fjord region is late winter/early spring – April is ideal. The tour: I was on the Ski Touring Around Hjørundfjorden tour with adventure tour operator Hvitserk: www.hvitserk.no. 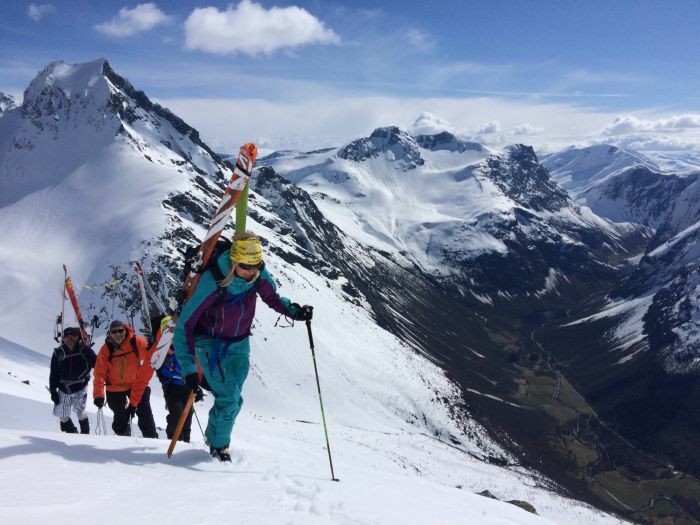 Experience needed: These kinds of tour require a competent level of skiing with a good level of fitness, although mountain guides can adapt the ski activities for all types of guest depending on their skills, experience and goals. For more information see www.visitnorway.co.uk and www.fjordnorway.com.